Another injury has hit the NBA-leading Milwaukee Bucks. The Athletic's Shams Charania reports that the club will be without the services of big man Nikola Mirotic for the next two to four weeks with a slight fracture of his left thumb. Mirotic, 28, was acquired by the team at the deadline in a deal with the New Orleans Pelicans. In 14 games with the Bucks, Mirotic is averaging 11.6 points on .415 shooting, 5.4 boards and 1.4 assists in 22.9 minutes a night. 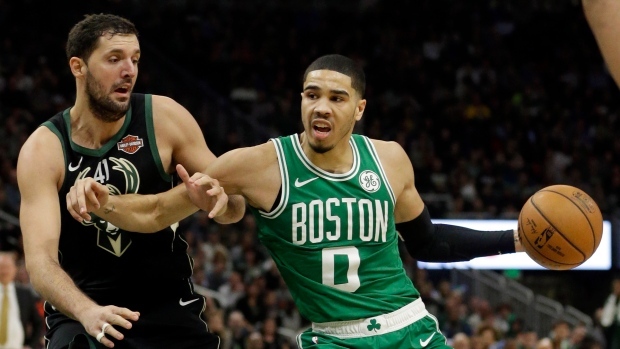 The Bucks were already without guard Malcolm Brogdon for six to eight weeks with a plantar fascia tear. The Bucks (53-18) hold a three-game lead over the Toronto Raptors for the top seed in the Eastern Conference with 11 games remaining. They visit the Cleveland Cavaliers on Wednesday night.